Drawing outside and getting inspiration from nature is fun to do, especially in warm, summer weather. 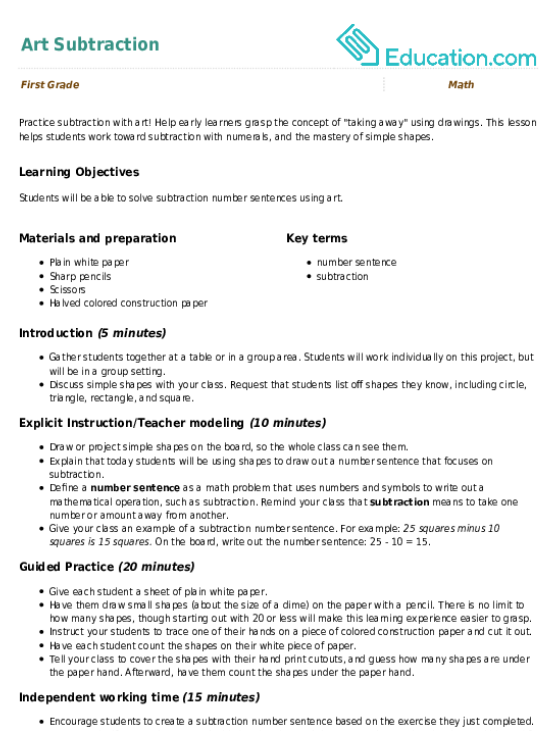 In this activity, allow your first grader to draw almost anywhere by letting him create his own garden art box. The garden art box is designed to bring simple materials into an outdoor setting for sketching, tracing, and other basic art projects. Creating the box is an activity in itself, but it can also provide hours of fun outdoor art time! If necessary, help your child assemble the box. Ask your child to paint the box whatever colour he likes. Do not paint the bottom of the box; this will make drying difficult. While paint is still wet, have your child attach sequins, feathers, or glitter to the box. Use glue as needed to secure these decorations. 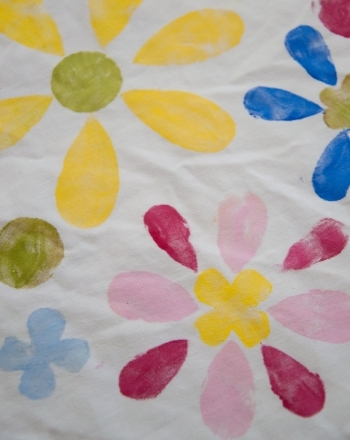 For added colour, you can even use the paint to Make flower printsOn the box. Allow the box to dry, making sure to prop the lid open so that it is not painted shut. 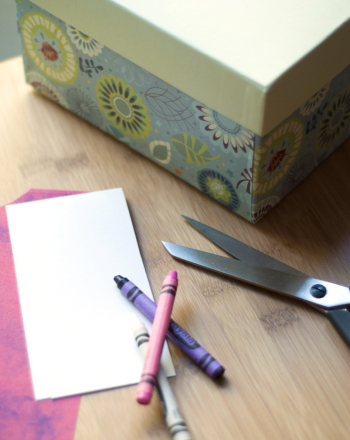 Fill the art box with art materials such as crayons, markers, or glue sticks. When finished, he will have a colorful carrier that will allow him to access his art materials whenever and wherever he wants to draw. 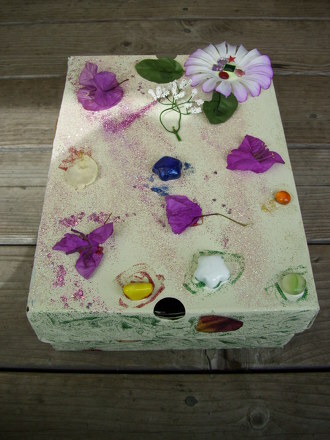 The garden art box is just the beginning of your child’s nature-inspired art experience. After the box has been filled with materials, bring it to a park, your own yard, or even on vacation for an afternoon of sketching fun! 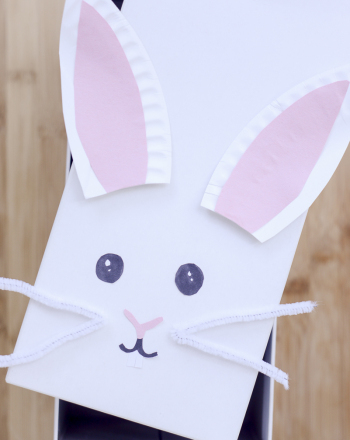 Make a festive bunny box that will be great for gift giving or storing candy and other small objects. Set your child's creative spirit free with heart art! He'll experiment placing hearts in patterns, designs, and configurations to make this 'heartfelt' art. Button art gets your child to make a pretty silhouette out of buttons. 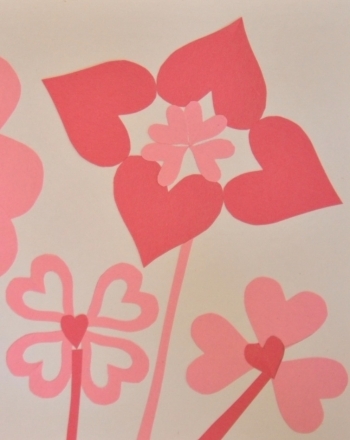 Make button art on Valentine's Day and any craft-filled day you'd like. Colour in a unique piece of butterfly-inspired art. Add a flourish of flowers to your dining table with simple and creative sponge art! Take a trip to the art store! Can you use your maths skills to figure out how much each child spent on art supplies? This Read Across America project has your 1st grader making his own fun-in-a-box! 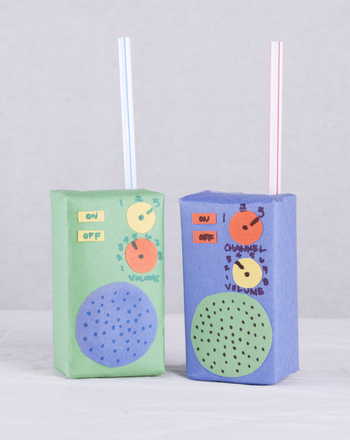 Here's a quick and easy way to turn a used juice box into a police radio for hours of play! 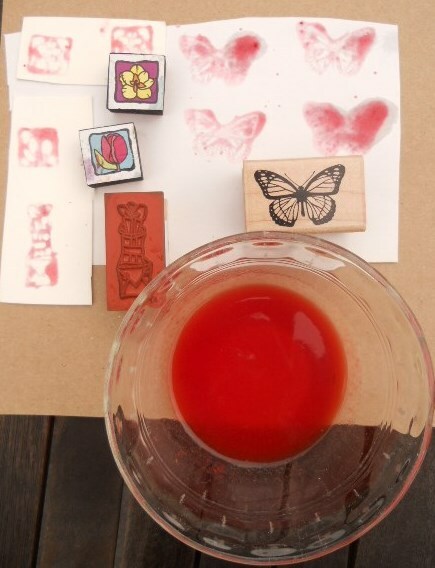 Instead of heading to the craft store, take a step back in time and restock your art supply with this easy recipe for homemade ink. 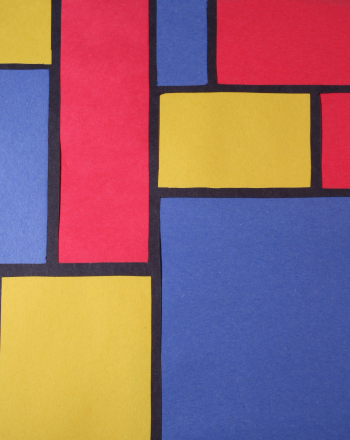 Make vibrant faux stained glass art inspired by the art of Piet Mondrian, a Dutch painter who explored repeating shapes using the primary colors. 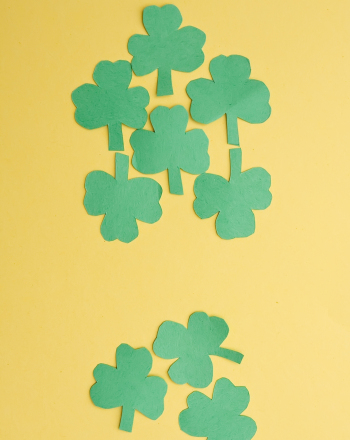 Patrick's Day this year by creating mosaic shamrock art with your child. Practise subtraction with art! Help early learners grasp the concept of "taking away" using drawings. See this activity in a set: Inspire Your year two Artist!